Not all IMPEC make air filters are "Water Washable". Hence refer to the specifications before water washing the air filters. Water washing can be done in recommended cases only with water at not more than 30 Deg C and at a water pressure of 2Kg / Sq.Cm from a distance of 150 mm from the filter face. Not all IMPEC make air filters are "Air Cleanable". Hence refer to the specifications before air cleaning the air filters. Air cleaning can be done in recommended cases only with compressed air / blower at not more than 30 Deg C and at an air pressure of 2.5 Kg / Sq.Cm from a distance of 150 mm from the filter face. 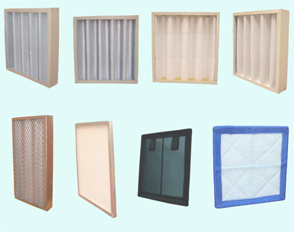 Soft Pocket Filters, HEPA Filter and Super Fine Filter are all disposable type filters. Do not attempt to clean or wash them. Simply replace used filters with new ones, once life time is exhausted. 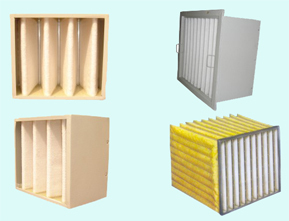 Air filters are sensitive equipments and needs to be handled with care. Servicing instructions are to be strictly followed and violations will result in damage to the Air filter. Ensure that the Air filters are completely dry after water washing. Never dry the water washed air filters under direct sunlight. Always lift or carry an air filter by using the handle provided. Never carry or handle an Air filter by its filtration media or media support structures. Mount the air filters in accordance with the air flow direction marked in the Air filter. Replace Air filters that have physical damages. Replace Air filters with fungal growth. 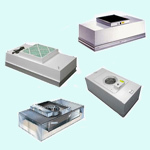 ULPA, Hepa and Super Fine filters are extremely fragile equipments. Utmost care is needed while handling them. Ensure that the filters are fitted properly without any leaks around the filters. Also ensure there are no leaks in the filter mounting arrangements. 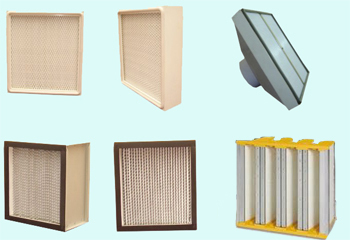 Always specify Grade (or) Micron level and efficiency, Air flow rate, Air flow direction and application of the Air filters while ordering. Compare Air filters based on Differential pressure and Filtration Efficiency @ rated flow rate, Filtration media detail, Filtration media area, Casing detail, Sealant and gasket detail.